"I'm so glad you clicked to learn more about me! My name is Ebony, and I probably don't need to tell you how I earned my name." "But what you can't tell in my pictures is how soft my shiny black coat is. That, together with my emerald green eyes, makes me quite the looker, or so I am told. Life has had its ups and downs for me, but I am so hopeful for my future. Do you think we would make a great team? I promise to be your forever companion and be by your side when you come home after a long day and want to relax. If you will give me some good scratching behind my ears, I will turn on my special purr motor for you. I love everybody I meet, so I'm sure I would love you, too! Won't you come down and meet me today! I can't wait to be part of a family again! 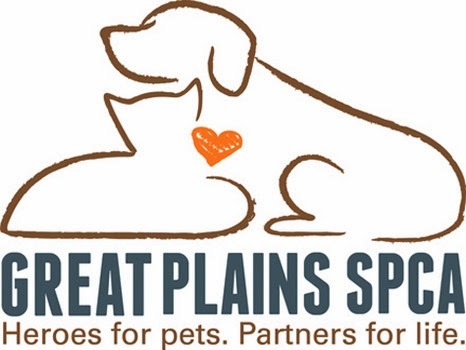 Ebony is waiting for you at the Merriam Campus of Great Plains SPCA! You are gorgeous, Ebony! And we love your impressive whiskers too! 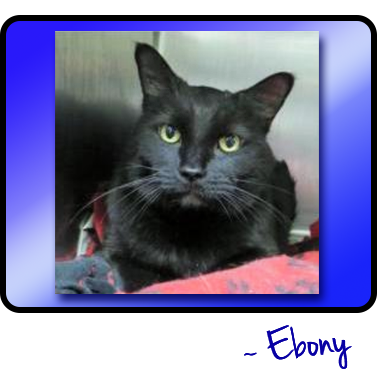 Ebony looks like a really nice cat adn I keep my paws crossed that he will find a foreverhome real soon !! Ebony looks like a super nice cat ! Keep my paws crossed that he will find a foreverhome real soon ! Awww, it will be very hard for anyone to resist him. What a charmer. Hope he finds a forever home real soon. Such a cutie. You sure are a looker, Ebony! We hope your forever family finds you really soon. They're probably looking for you right now and don't even realize it! Good luck to Ebony. We have missed you.